One of the great things about summer is that you can get away with reading anything and no one will judge you. Just say it’s your beach book and you get a free pass. In fact, you rarely see someone at the beach reading a hardcover 1,000 page biography of LBJ (see Buying Books). If you do, they are probably wearing a sweatshirt and a big floppy hat and sitting under an umbrella. They don’t know they are at the beach, and they started the book in front of a fireplace in a ski chalet in January. These days, Kindles and other e-readers make it even easier to get away with secretly reading trash. Nobody knows what you’re reading. 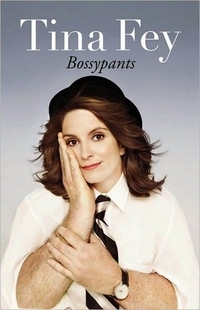 So I really don’t have to tell you this, but I’ve spent the last three weeks reading Bossypants, Tina Fey‘s autobiography. And I loved it. If I was a girl (no news here, although I am planning to have knee replacement surgery), I would want to be Tina Fey. She is hilarious. Her work as head writer on Saturday Night Live, including her uncanny imitation of Sarah Palin, and 30 Rock, which she co-created and stars in, ranks her among the all-time great TV comediennes. You can now add Bossypants to her list of triumphs. It’s laugh-out-loud funny. You still have a couple of weeks of summer left before your book club starts up again. So quick, go get it and head for the beach. This entry was posted in Books, Humor, Television, TV and tagged 30 Rock, Books, Humor, Humour, Saturday Night Live, Television, Tina Fey, TV, Weekend Update. Bookmark the permalink. How do I borrow the books you love if they are all on kindle?